Hand-woven Persian carpets and rugs have been prized for their high artistic value and prestige from the first time they were mentioned by ancient Greek writers until today. Woven by nomadic tribes, in village and town workshops, and by royal court factories, the craft of Persian carpets and rugs developed simultaneously and independently in areas and communities that had no apparent connection with each other. As such, it represents many traditions, and tells the storied history of Iran (formerly Persia) and its peoples. Carpets woven in the Safavid court factories during the 16th century, for example, are renowned for their elaborate colors and artistic design, and are preserved in museums and private collections the world over. These patterns and designs have established an artistic tradition that has been kept alive for the entire span of the Persian Empire up to the last royal dynasty of Iran. As a result of changing commercial demands and especially during times of war, there have been periods of decline in Persian carpet weaving. The introduction of synthetic dyes during the second half of the 19th century was particularly damaging to the great tradition. However, Persian carpet weaving still plays a major role in the economy of Iran today. There is a revival of traditional dyeing with natural dyes. And while traditional tribal patterns are still in use, modern, innovative designs have created new classics that are woven in the centuries-old technique. 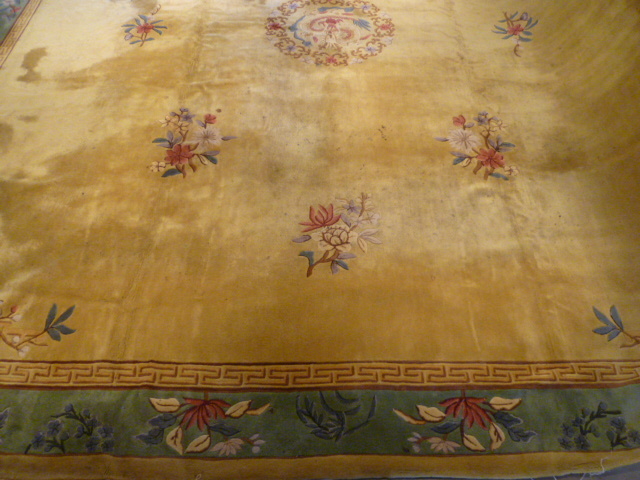 Antique Chinese carpets have a long and distinguished history that is largely independent of rug designs from the Middle East. Often related more to the tradition of silk textiles, due to the scarcity of wool, antique Chinese rugs and carpets tend to be more open and spacious in design than Oriental carpets from the Middle East. They frequently contain prominent pictorial elements–trees, flowers, clouds, mountains, dragons, and various animals. Colors are generally softer in tone, with an emphasis on blues, golds, and ivories. Decorative oriental rugs and carpets have been a significant art form within the Chinese culture for many centuries, although they were only available to trade beginning in the 19th century. Created mostly in blues and beiges, with classical symbols of longevity, antique Chinese rugs are frequently visible in paintings from as early as the T’ang Period. In contrast to earlier Chinese antique rugs, 20th-century Chinese Art Deco rugs can be quite spare in design and radical in color, catering to modern taste. Kurdish rugs are woven by the Kurdish people in the Middle East, predominantly in the larger Kurdistan region. However, within the rug industry, Kurdish rugs refers specifically to those made within Iranian Kurdistan. Kurdish rugs are stout and solid in structure, usually made in symmetrical knotting upon a woolen foundation. These nomadic rugs and carpets do use medallion patterns; however, the all-over floral and geometric patterns are more popular. The beauty of Kurdish designs are enriched by highly saturated blues, greens, saffrons, terracotta and burnt orange hues. It is possible to read the dreams, wishes and hopes of the rug maker from the sequence of Kurdish symbols used. This communication within the Kurdish rug is what makes tribal Kurdish rugs so special. Turkish carpets, whether knotted or flat woven (kilim), are among the best known art forms produced by the Turks and were created to protect from the extremes of cold weather by covering the floors, walls, and doorways. 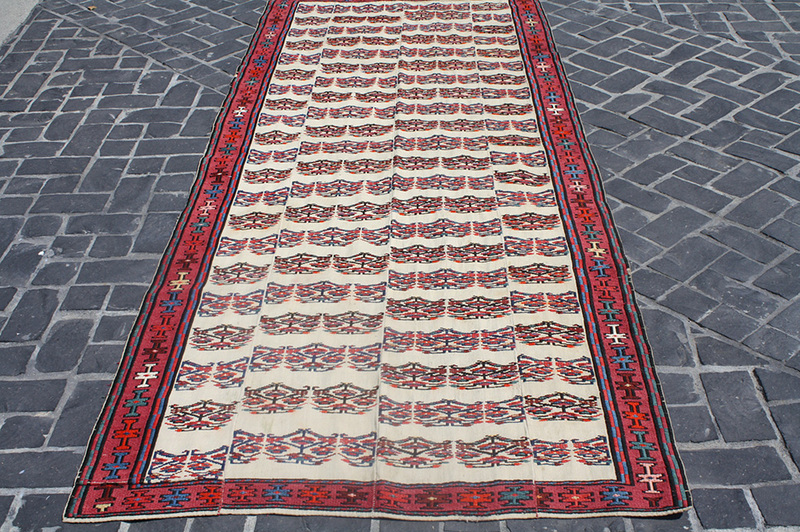 Turkish rugs are handmade from wool or cotton, with the occasional addition of silk. Despite technological advances that enable factory-made carpets, the production of rug weaving at the cottage-industry level has not stopped. Although synthetic dyes have been in use for the last 150 years, handmade carpets are still considered far superior to industrial carpeting. Turkish carpets in the 15th and 16th centuries are best known through European paintings. The Turkish carpets can have exuberant colors, motifs, and patterns. Because traditionally women have woven the carpets, this is one art form that is rarely appreciated as being the work of a known or specific artist. The Berber carpet was named after the Berber tribe in northwestern Africa. These people have lived in North Africa for as long as records have been kept. The term “Berber” actually encapsulates many different groups of people, and those who practice the original Berber traditions and language are now largely found in the countries of the Barbary Coast—Morocco, Algeria, Libya. and Tunisia. The Berbers are traditionally farmers or oasis dwellers. The origin of Berber carpets has been traced back to the Paleolithic era. The modern carpet is based on the construction of the historic Berber cloaks. These cloaks are made of wool and have the same characteristics as Berber carpet, including the looping. Vivacious colors, big knots, mixed techniques or just local, raw wools recall the nomadic origin of the Berber rugs. The unbelievable variety of symbols and typologies are not easily classifiable. 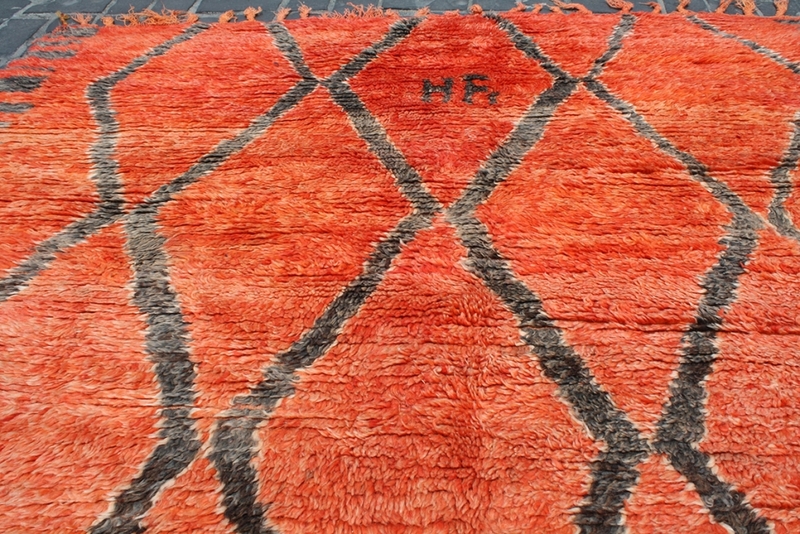 This is a rebellious rug, at once ancestral and ultramodern. The complexity of Afghanistan’s carpets are as much a reflection of history as a way of life. Afghan tribes have been weaving in Central Asia for thousands of years, using their hands to create vibrant masterpieces of all sizes. These carpets became involved in almost every part of tribal life. Tribes, especially Turkmen, differentiated their work by weaving a particular pattern, just as they branded their cattle with a specific image. However, the arrival of Russia and other foreign powers in the 19th century began to alter the role of carpets in Afghanistan. External interest in the works created markets that linked weavers with consumers and transformed the appearance of carpets. Producers, dealers, and middlemen began designing rugs targeted at customers, making older Afghan rugs even more valuable. In many ways, the Turkmen carpet is an apt symbol of Afghanistan, an intricate interweaving of the balance between rural and urban, East and West, and ancient and modern. For the very finest quality antique and vintage rugs from around the globe, visit The Rug Warehouse showroom in Los Angeles or call to speak with our expert sales staff at 310-838-0450. Great information on different country rugs. This article is really helpful for me. I was also looking as well information on the web. Keep it up great work. I Am Scott and I would like to order some ( Antique Rugs ) What would be the Price for one including taxes..?What types of payments do you accept?Thank you and waiting for your reply. 18 1 Hello, I Am Scott and I would like to order some ( Antique Rugs ) What would be the Price for one including taxes..?What types of payments do you accept?Thank you and waiting for your reply. Regards, Scott.